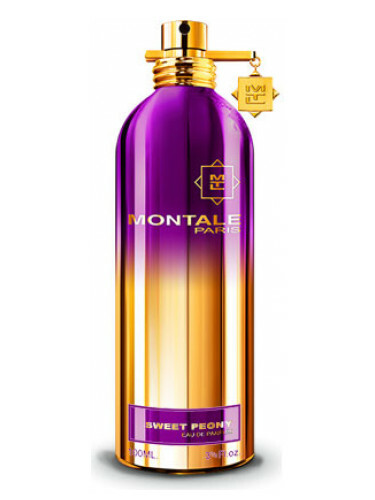 Montale Sweet Peony is one of those perfumes that wears nothing like the note list would imply (even though you smell most of what is in the note list). It also doesn’t wear like its name would imply either. Because of both of these factors, that’s why I feel inclined to review it. I feel like I’m doing the public a service. Sweet Peony is a peach-y, creamy rose. Do you know “wedding almonds”? Because that’s what Sweet Peony reminds me of. It’s like a pink bouquet of roses and peonies with Jordan almonds/koufeta. So, it’s a floral that smells sugar-coated. I’m assuming I’m picking up on almonds and maybe that is what the note list refers to as “coffee”. It goes through a stage that is like rose marshmallows. I have noticed in warmer weather, that the jasmine really blooms. It wears more like a jasmine custard (slightly lactonic, coconut?) with rose marshmallows and peaches in syrup. It dries down to a powdery musky floral. I suspect there is heliotrope in the dry-down. Because it’s sweet, fruity with a little bit of spice. Sweet Peony is one of those fruity-floral perfumes that aggressively flirts with gourmands. It’s almost like a gourmand (sweet, creamy), but then you get all of the powder and eventually some sandalwood, and that wouldn’t taste so good in a dessert. It’s done in a Montale style. What does that mean? It means it projects and the rose is sharp and if you described it as “brash”, I wouldn’t disagree. But, that’s the sort of Montales I like! I like the burlesque-y ones. The ones that over-the-top “feminine” wearing false lashes and too much costume jewelry. Notes listed include jasmine, rose, peach, peony, coconut, coffee, clove, sandalwood and vanilla. Launched in 2017. Give Sweet Peony a try if you like powdery, sweet florals. Or perfumes like Amouage Blossom Love, House of Sillage Hauts Bijoux, Parfums Rosine Ballerina No. 1, Tom Ford Violet Blonde and/or Malle Iris Poudre. The 3.4 oz bottle retails for $170 at Osswald. Samples are available for purchase. Victoria’s Final EauPINION – Powdery pink flowers and wedding almonds. It’s a sweet fruity-floral. It’s not something I see myself wearing that frequently but sometimes I get in the mood to smell like flowers dipped in sugar. When I’m in that mood, something like Sweet Peony would be perfect. *Sample obtained by me. Product pic from Fragrantica. Valerie Leon as Paula Perkins pic from fanpix.net.